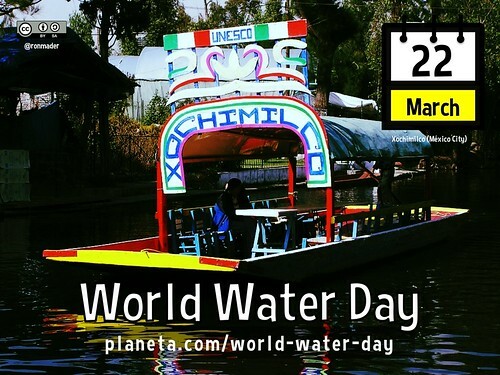 World Water Day is March 22 coordinated by UN-Water in collaboration with governments and partners. The 2018 theme – Nature for Water – explores how we can use nature to overcome the water challenges of the 21st century. Celebrate World Water Day with immersive compositions exploring the soundscapes of aquatic ecosystems ranging from the sonic complexity of the Great Barrier Reef to melting glaciers in Antarctica.The concert features internationally renowned and emerging composers who have pioneered the use of hydrophones (underwater microphones) in aquatic ecology and music composition. The event will open with leading freshwater ecologist Dr Simon Linke introducing the latest research in freshwater ecoacoustics using sound to monitor the health of aquatic environments.Featuring works by Jana Winderen (Norway), Annea Lockwood (USA), Ros Bandt (Australia), Leah Barclay (Australia) and Nicole Carroll (USA). Details. Which of the events have livestreaming and recorded video? How is ‘World Water Day’ translated in other languages? Are there any open access / open education resources focusing on nature for water?